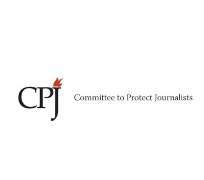 New York, December 19, 2018--At least 53 journalists were killed on the job this year, 34 of whom were targeted for murder in reprisal for their work, the Committee to Protect Journalists found in its annual analysis . The numbers, which represent those killed between January 1 and December 14, make 2018 the deadliest year for journalists in the past three years, according to CPJ data. The recent uptick in killings comes as the jailing of journalists hits a sustained high--adding up to ongoing global crisis of press freedom. Amid the physical dangers to journalists, many world leaders are doubling down on anti-press rhetoric. The year was marked by high-profile murders of journalists including Washington Post columnist Jamal Khashoggi , killed by Saudi agents in the Saudi Arabian consulate in Istanbul in October. In February, Slovakian investigative journalist Jan Kuciak was shot to death alongside his fiancé, the second murder of a European Union journalist covering corruption in less than six months. In Afghanistan, a suicide bomber targeted a group of reporters , killing nine in a single explosion in April. The 34 journalists murdered this year compares with 18 murders in 2017. "Murder is a form of brutal censorship that is disrupting the flow of information," said CPJ Executive Director Joel Simon. "People around the world are increasingly recognizing what's at stake. Political leaders must stand up, speak out, and deliver justice on behalf of the journalists who gave their lives to bring us the news." CPJ's database of journalists killed in 2018 includes capsule reports on each victim and filters for examining trends in the data. CPJ began compiling detailed records on all journalist deaths in 1992. CPJ considers a case work-related only when its staff is reasonably certain that a journalist was killed in direct reprisal for his or her work; in combat-related crossfire; or while carrying out a dangerous assignment. CPJ's report is available in Arabic , Chinese , English , French , Portuguese , Russian , Spanish , and Turkish .